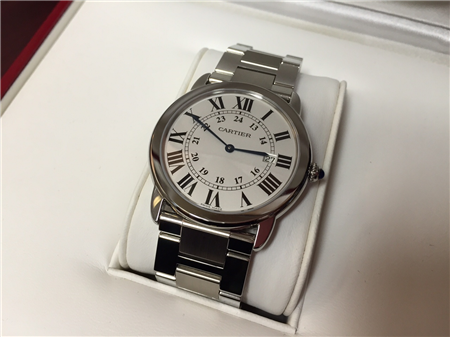 For this deal of the week, we have a stunning Cartier Ronde de Solo Large model in like new condition with its original box. This watch has hardly been worn and still retains its original polish. The Cartier Ronde Solo features a svelte 6.5mm case thickness, hidden folding clasp, Cartier quartz movement, and date function at 3 o’clock. This watch retails for $3,050.